At OFC in San Diego CA. 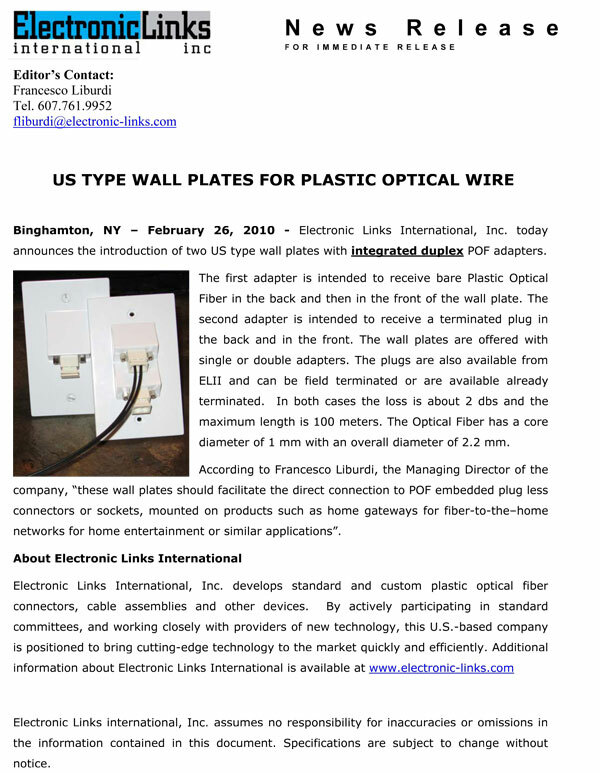 on March 23-25, ELII will be introducing two types of US wall plates with integrated optical duplex adapters. See us at booth 1151.